A few weeks ago, the Husband and I went out to dinner with my sister and brother-in-love (and my sweet newborn niece). The Husband looked up vegan options at Salsa Brava. The plan was that I would just get a plain salad. Since we had to wait for about forty-five minutes to be seated, I took a look at the menu. I wondered if they would let me “construct” my own salad from items on their menu. 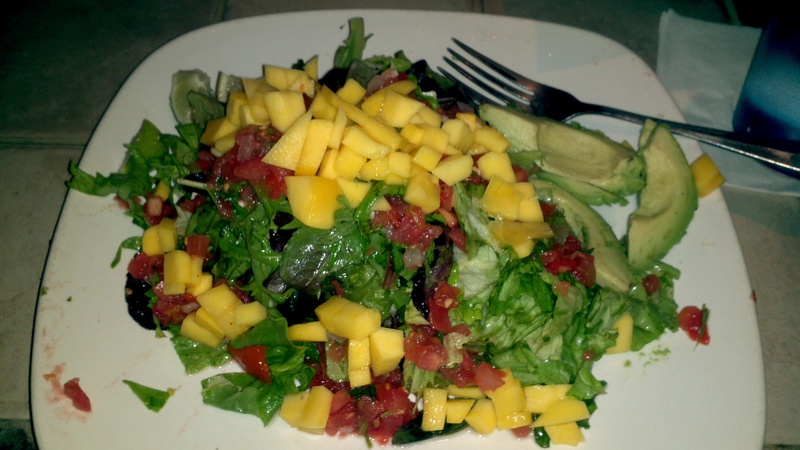 I squeezed the lime over the salad as a dressing; chopped up the avocado and mixed that in too. YUM! It was really good and best of all, I was able to eat out and stay RAW! This entry was posted in 30 Raw, Food by Jules Lane. Bookmark the permalink.